I’m a lazy language learner. Not in a “I’ll do it tomorrow” kind of way, but in a “I don’t feel like reading a textbook so I’m going to sit on the sofa and watch French TV and not even think about getting dressed” kind of way. That’s because I learn more this way. When we’re relaxed, we’re free of tension and our brains are more open and receptive to learning. And it’s pretty difficult not to be relaxed when you’re curled up in a ball in front of the TV. The “lazy” activities we do in our first language become strategic tools when learning a language: watching TV, messing around on YouTube and listening to the radio are excellent ways to get your ears used to the sound of real spoken French – it doesn’t matter if you don’t understand everything. I hate to admit this in public but for the purposes of this post I have to fess up – I’m addicted to reality TV. Well, foreign language reality TV, to be precise. That’s because reality TV shows are a fab way to boost your language skills. Think about it. The way people talk in films, books and TV series isn’t representative of how people really talk. Dialogues are scripted to make conversations more exciting, with witty quips and eloquent vocabulary. Reality TV shows are full of spontaneous speech which is much closer to a natural communication style with repetitions, everyday expressions and fillers like “eh” and “um”. Also, you follow the characters as they go about their daily lives so you can pick up lots of vocabulary for common situations and objects. Finally, you get to spend hours and hours watching trash TV, completely guilt free because you’re learning a language at the same time. My favourite is “Les Anges” The Angels, which you can watch for free on the NRJ YouTube channel. If you’re looking for something a little more highbrow, head over to the RFI website for French learners. It has loads of great resources, including a news programme accompanied by transcripts, so you can listen and read at together. This helps with vocabulary as you can follow the script and look up new words. With your feet up of course. 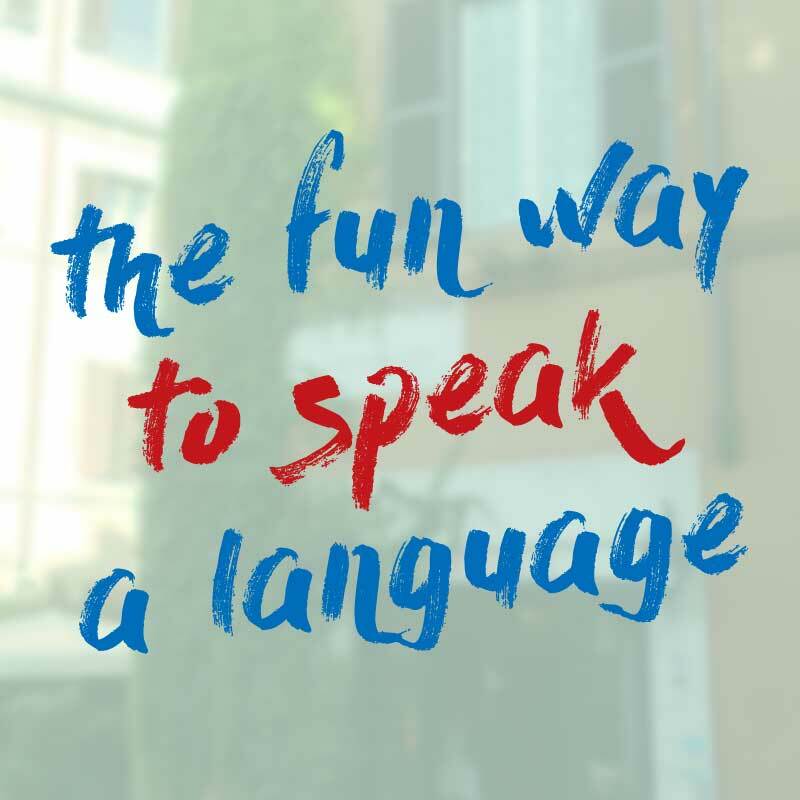 The Easy French YouTube channel follows presenters as they head out onto the streets of France and ask people really juicy questions like “Qu’est-ce-qui vous rend heureux?” What makes you happy?. Each episode poses the same question to several people so you get plenty of repetition, helping you memorise new expressions effortlessly. They also have double subtitles in French and English to help with comprehension. They’re short and dangerously addictive so you’ll find yourself watching one after the other. French learners are lucky enough to have their pick when it comes to finding music to learn with. The French music scene has great artists across a wide variety of genres so it’s not too difficult to find something you can get into. Some of my faves are La Rue Ketanou (folk), Mockless (hip hop) and Zaz (pop). You can find the lyrics to most French songs over at paroles.net so you can read lyrics, learn some new words and sing along. Et voilà, a few quick tips for keeping your French fresh when you’re not in the mood to study. Amusez-vous bien! What language are you learning at the moment? 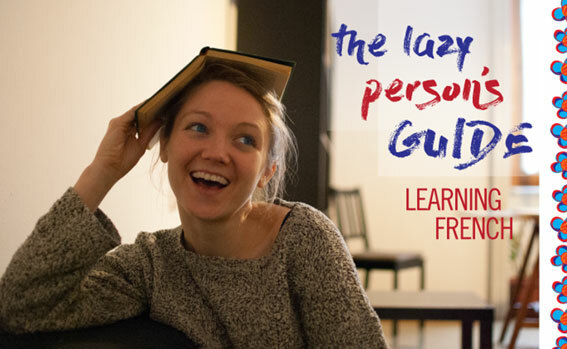 Do you have any favourite lazy ways to learn? Share them with us in the comments below.